An interview with Peter Bjärgö from Sweden, mastermind of the heavenly Arcana and the more powerful Sophia. This interview deals mainly with Sophia, which has recently released the album “Deconstruction of the world”. Can you introduce Sophia and yourself in a few words? My name is Peter Bjärgö, and I live in Eskilstuna (Sweden) with my wife, daughter and three stepdaughters. I have the projects Arcana and Sophia. Arcana has been my main project since 1994 and Sophia is my next one. Sophia has a more harsh sound than Arcana, with more rhythm, more percussion. When and why did you decide to start the Sophia project? I needed to take my mind of Arcana, experiment more with the music. I started out Sophia back in 1998, and I did a whole album. To bad I got a computercrash, so it all disappeared. The first release came out in 2000, and since then I have had Sophia as my second “child” in the studio. Today I heard your latest record “Deconstruction of the world” for the first time. And I instantly recognized it as Sophia. Is there a magic formula, or a defining characteristic? Hehe, well I make the music..maybe that is the formula…hahaha. No, I think I have changed Sophia alot during the years, but you can always hear it is my music. I guess I have a sound that is Sophia. Simple as that. I make the music that I myself would like to listen to, and I guess that makes it the way it is. The record is released on the Canadian Cyclic Law label. How did this came into being? Me and Frederic has been friends for a long time, and we talked about this early 2003. I like his releases and offered him a Sophia release. And he gladly accepted. “Deconstruction of the world” sounds quite apocalyptic and warlike. Is there a clear concept behind the album? No, not really. I have mixed old unreleased material on this with newer songs. The old ones were written before the “Herbstwerk” era, and that was maybe kind of “warlike”. According to your website, “This album was the hardest ever to record.” Can you comment on that? When I started to record it, it was trouble from the start. My computer broke down, the mixing-table started to act funny, the burning of the master didn’t work anywhere. It was all trouble, except from the layout…although Ia sent the wrong layout at first…hehe! How does this record relate to the previous Sophia work, what are the biggest changes? There are not so many changes. I have mixed old songs and new songs. It is a mix between the “Herbstwerk” era and “Spite”. One big change although is that Stefan Eriksson has been a part on some songs and has written himself one. Another quote from your website: “we fully support the use of mp3’s and please do search for Sophia songs to download wherever you may find them”. So you don’t agree with many labels and artists who see internet and downloading as the greatest evil? No, I think it is a great invention. If you are a big “mainstream”-artist, then it might not be good. But for us underground, small artists it’s great. Our music will reach more people than it would have otherwise. And as I speak for myself, I have never bought so many cd’s since the mp3 came. If I find something good on the internet, I download some…then I buy it. If you are a true fan of something, you won’t settle with burned cd’s. On the LP you have been working with Stefan Eriksson. What is his role? Stefan is an old friend of mine, and we like making music together. So I thought it was a fun thing to do to include him on the album. I work with different persons each release, but mainly I work alone. Stefan has also been a part of Arcana live on stage. Do you prefer to work solitary, or are you more creative in collaborations? It depends on the music i make. With Arcana and Sophia I prefer to work alone. Then I can work without any disturbance. But I also like to work together with others when it comes to other kinds of music. I heard that you moved away from Cold Meat Industry, and that Arcana and Sophia will release under your own Erebus Odora flag from now on. What were the reasons behind that decision? CMI is more and more a harsh industrial label. This does not fit with the Arcana and Sophia music. And I have thought about releasing my own music for a long time. The old Arcana/Sophia material will still be under CMI-label, and will not be re-released under Erebus Odora. What are the plans for Erebus Odora? Will it mainly focus on your own material, or will you release other musicians too? In the beginning there will be only my own music. Later on, if all goes well, I might release other musicians. I will start out small, trade with some labels and have small distributors. I think that a mailorder catalogue will be a good start. Are there any bands/musicians which have impressed you lately? Well, I don’t know. I am always impressed by old bands, like Swans. Gira is a great musician. I don’t listen much to “new” music. 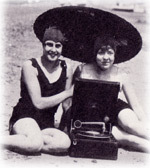 I am beginning to think that all good music was made a long time ago. I listen alot to Scott Walker, Lee Hazelwood and many others. Of course I listen to new bands also and I don’t push it away, there are so many talented musicians out there. Sophia has quite some orchestral/classical elements. Have you listened to a lot of classical music? I am a big fan of classical music. I love composers like Arvo P?rt, Schnittke, Nono and many others. i am not so fond of the romantic era, but the more experimental classics and choirs. Do you have a split personality? How can the same person make such soft and romantic music as Arcana and such heavy aggressive music as Sophia? Hahaha! No, I do not have a split personality. I think all people need to have different music to think about, otherwise you can’t develop in your creativity. Can you work on material for Arcana and Sophia at the same time, or do you divide it into distinct periods? I work with material for both projects at the same time. It all depends on the mood I am in. But if there is a deadline for an album, I concentrate on that particular album. Will there be any more collaborations with Tomas Petterson (Ordo Rosarius Equilibrio)? No, he has his projects and I have mine. Have you planned any concerts in the near future? How do you perceive playing live, do you enjoy it or is it a necessary evil? Will there be more Sophia or Arcana releases in the near future? 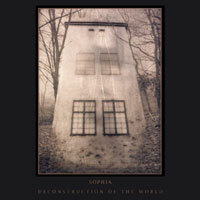 Yes, the Arcana 10 year anniversary will be out this spring, and the cd-version of Sophia’s “Deconstruction of the world”, will be out in May on Cyclic Law. I have plans for another Arcana full-lenght and another Sophia also. Some of your releases have been on limited vinyl. Why these small pressings? Are you a musical collector yourself? Not especially. If I like an artist, I want it all with that artist. Like Swans. I am buying everything I see and can afford. I soon have them all, cd’s and vinyls. But I do not collect everything that is rare in my music genre. The reason that I have released vinyls is that I like it, it is a nice format and I like the sound of a vinyl record. Can you tell something about your creative process? How do you usually create music in the studio? It depends on which kind of music i am recording. It is different from song to song. the main thing is that i start with a melody or a rhythm and then I build on that. Then I am totally dedicated to that song until it’s done. Where do you live? Does the environment inspire your music? Eskilstuna is a small city about 10 miles from Stockholm. We live in a 5 room flat, with the forest around us, close to the water and close to the city. We like it here. I don’t think the local environment really inspires me, but the world’s environment does. If I’m informed well there have been some changes in your family situation last year. Does that effect your music a lot? Yes, me and Ia became husband and wife in August, Vendela, our daughter is growing up and Ia’s older girls are getting into their teens. Of course this affects my creativity, but not my work. I don’t think so at least. I have less time in the studio, but we are trying to work things out so that family and work get as much time as they need. Which albums would you certainly bring with you to a desert island? Probably Swans (White Light From the Mouth of Infinity) , Dead can Dance (Within the Realm of a Dying Sun), Slayer (Reign in blood) and Scott Walker (Scott 3). Spending time with my family, my friends, reading books (love books), making food (loves to cook). What would you do if you won a million Euro? And perhaps some final thoughts? I am looking forward to future releases. I hope people don’t worry about the silence around me, according to my break from CMI. That is not relevant. I will proceed making music and there will be more albums out. This means a closer releationship to my fans. Thanks for the interview, hope to talk more soon.